(Bloomberg) – Net1 UEPS Technologies’s founder, Serge Belamant, will retire early after a storm of controversy over a contract it holds in South Africa to distribute billions of dollars of welfare payments to 17 million people. Belamant, who founded the company 27 years ago, will quit at the end of the month rather than retiring next year to allow changes at the company and partly due “to the views expressed by certain of the company’s shareholders,” Net1 said in a statement. Johannesburg-based Net1’s biggest shareholders are the World’s Bank’s International Finance Corp. and Cape Town’s Allan Gray Ltd. Both have been critical of Belamant and the company. Net1 won a contract in 2012 to distribute welfare in South Africa. Two years later the country’s Constitutional Court ruled the contract invalid and instructed the South African Social Security Agency to find a new provider. When it failed to do so by March this year the court allowed the contract to be extended until 2018 under stringent conditions. Net1 has been accused by human rights organisations of selling goods and services to South Africa’s poorest and least educated ranging from loans to mobile phone time without explaining them adequately and by improperly using information gleaned from its grant distribution activity. It has denied the allegations. Belamant attracted criticism for his conduct and public comments. He will provide consultant services to Net1 for 2 years. Johannesburg, May 25, 2017 – Net 1 UEPS Technologies, Inc. (NasdaqGS: UEPS; JSE: NT1) (“Net1” or the “Company”) announced today that Mr. Serge C. P. Belamant will retire as Chief Executive Officer and a director of the Company at the end of this month and Mr. Herman G. Kotzé, currently the Company’s Chief Financial Officer, has been appointed as Chief Executive Officer effective on June 1, 2017. Mr. Belamant, who is the founder of Net1, was due to retire at age 65 in 2018. However to facilitate changes to the Company’s operating and management structures and also noting the views expressed by certain of the Company’s shareholders, the Board and Mr. Belamant agreed on an earlier retirement date of May 31, 2017. Mr. Belamant has agreed to provide consulting services to the Company for a two-year period after his retirement. This will allow the Company to retain the benefit of Mr. Belamant’s technical expertise and many years of experience in the industry, particularly for assistance in the development of Net1’s international operations. “Mr. Belamant is a visionary technologist who, during his 27 years with Net1, has established the Company as a world leader in payment systems and related mobile technologies” said Mr. Christopher S. Seabrooke, Chairman of Net1. “He leaves the Company well-positioned to grow its international footprint while at the same time having the capacity to expand its South African operations and introduce new business models responsive to the needs of South Africans. 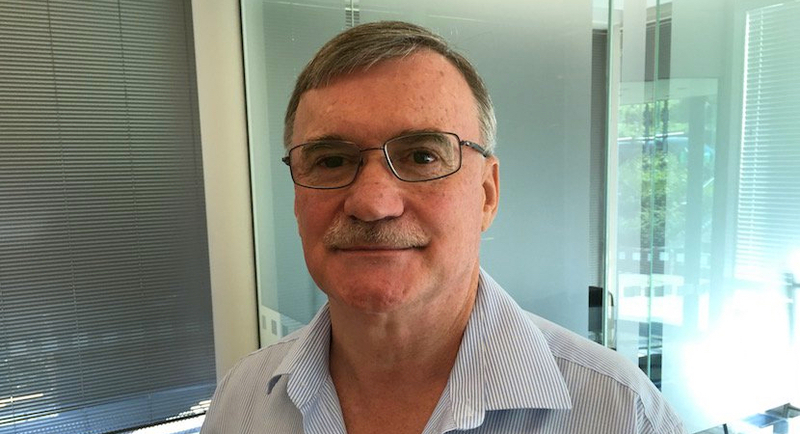 The Board thanks Mr. Belamant for his leadership and enduring contribution to the Company and wish him well in more relaxed years ahead,” he concluded. Mr. Kotzé has been with the Company for over 18 years and has been its Chief Financial Officer since 2004. “We are delighted to confirm the appointment of Mr. Kotzé as Chief Executive Officer,” said Mr. Seabrooke. “In addition to his role as Chief Financial Officer, he has been directly involved in all aspects of the Company’s operations in South Africa and has been directly responsible for the execution of the Company’s local and international investments and acquisitions,” he concluded. The Board has initiated a search for a new Chief Financial Officer. Until a new appointment is made, Mr. Kotzé will serve as both Chief Executive Officer and Chief Financial Officer.